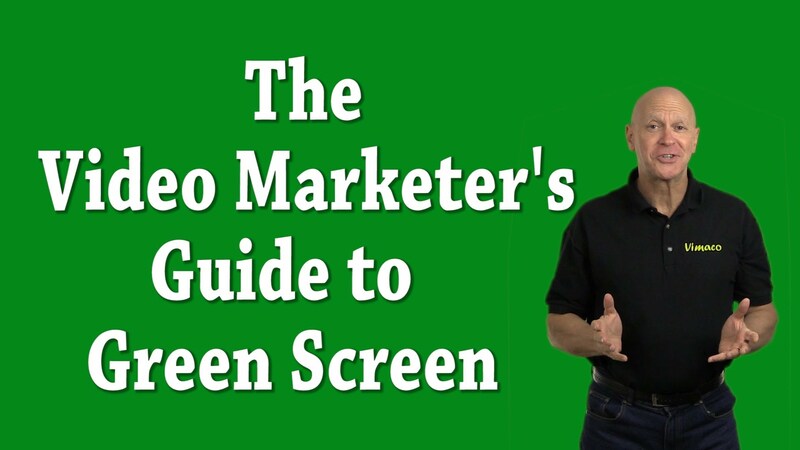 Using a green screen for your marketing videos is a great option. But there are a few technical issues you need to be aware of the pull it off. Green screens can give you so much flexibility. In a single moment you can be anywhere in the world. Your videos will be more visually exciting – but first you have to perfect these techniques. First we need a green screen. Now why do we use a green screen? Well we can actually use any colour we like for the background as long as the colour is distinctive from the foreground. Hollywood movies still use blue screens but green screens work well with digital video. And the colour green is not found on our flesh. If it does, then you need to see a doctor right away. So you need to be sure you do not wear any green or it will cause problems when you “key” out the background colour. I like to use a pop up green screen which is easy to set up and does not have any creases. It is absolutely vital to light the screen as evenly as possible. Spotlights tend to cause hotspots on the screen which create different shades of green which in turn, will make it difficult to key out in post production. 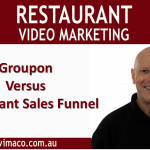 I like to use two fluro lights which you can buy at your local hardware store for around $30. The fluros give a cool white even light without any hot spots. I attach the fluro lights on stands and place one on either side of the screen. Now you need to light the foreground separately from the background green screen. I stand about 1.5 metres from the green screen so that I don’t cast any shadows and I ensure there is no light spillage onto the screen. You need the green screen to cover the whole frame as you can use garbage matts to clean it up but you will need your subject to stay within the green screen background or they will disappear off the screen. Check out the video to see how we key out the green and add exciting new visuals for the background.